The machine is mainly used to cut H-beams,Channels,Pipes and other profiles etc. 1. The machine is mainly composed of sawing fram, worktable, vertical feeding device, vertical pressing device, rotation worktable, carriage for feeding workpiece, hydraulic system, cooling system and electric system etc. 2. The feeding speed can be adjusted automatically according to different section and also realize reciprocating saw. 3. High efficiency and high precision rotation angle positioning. 4. The machine is equipped with clamp carriage which can automatically identify the infeed length of H-beam, which can get automatically control of all the process. 5. Use touch screen to input the dimension of the workpiece, the processing data can be shown and monitored real-time. 6. 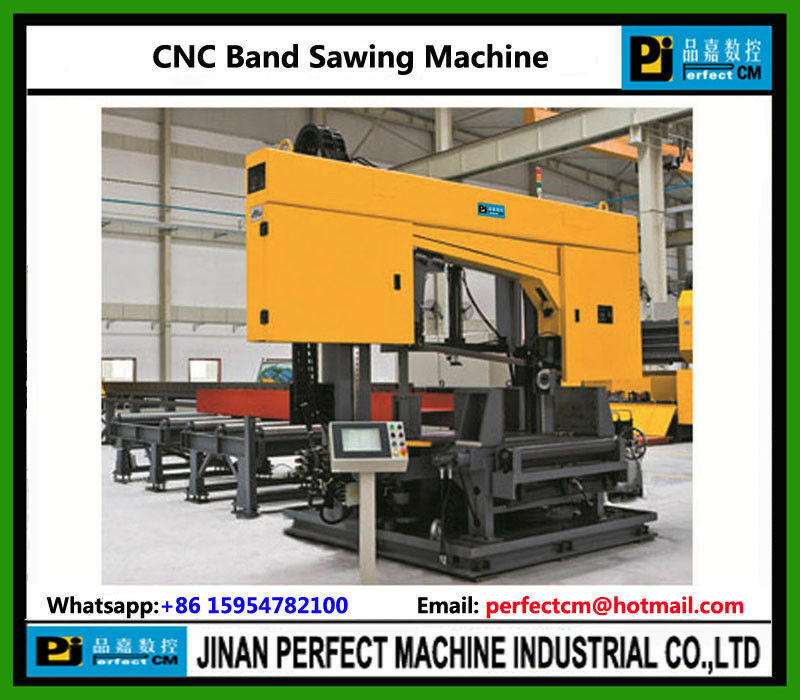 Powerful sawing capacity is specially designed for processing different kinds of profiled bars in steel structure industry.